Having a difficult time falling asleep, Russell the Sheep tries just about everything to cure his case of insomnia, including counting sheep, until he finally comes up with the perfect trick to send him into a peaceful slumber. 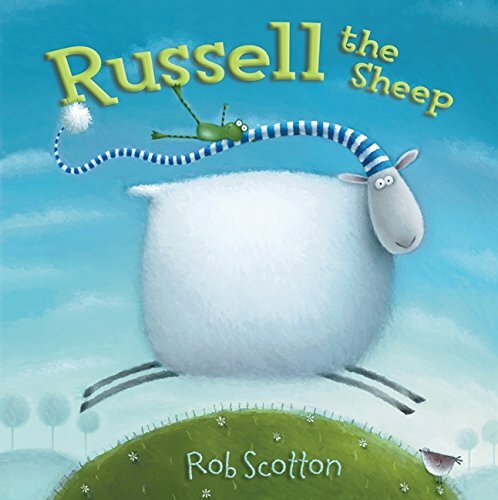 Rob Scotton is the bestselling author and illustrator of Russell the Sheep; Russell and the Lost Treasure; Russell’s Christmas Magic; Splat the Cat; Love, Splat; Merry Christmas, Splat; and Scaredy-Cat, Splat! His work can also be found on greeting cards, ceramics, textiles, prints, stationery, and glassware. An honors graduate of Leicester Polytechnic, Rob now lives in Rutland, England, with his wife, Liz, who is also an artist. You can visit Rob Scotton online at www.robscotton.com.